From chatbots in customer service departments, content management on social networks and the use of drones, human beings are already collaborating with technology and still, many fear automation. Although according to futurists, 85% of the 2030 jobs haven't been invented, the need for human skills such as mental agility, resilience, communication, and critical thinking will grow over time. 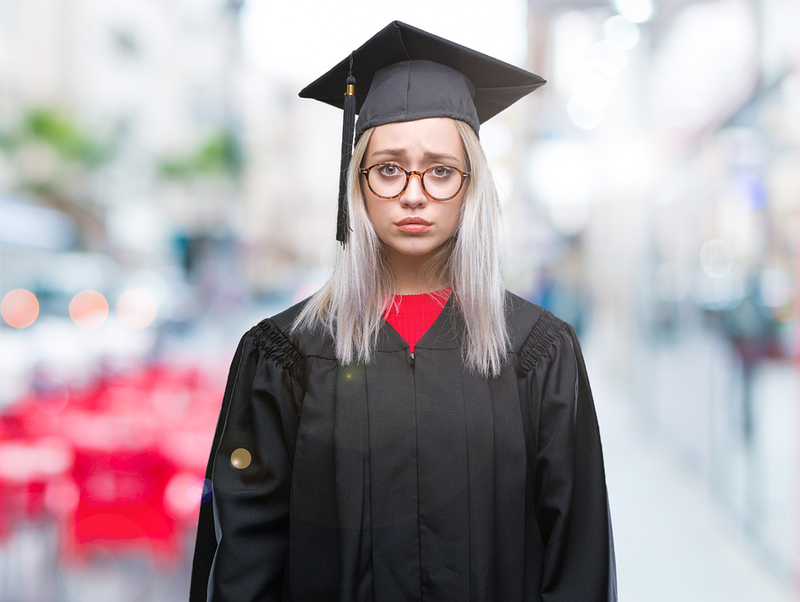 Nevertheless, according to a study by the Strada Institute for the Future of Work, higher education is not on the same page with the changing labor market, leaving students less and less prepared. The communication of student's skills to the workforce should be more precise to connect three critical audiences: people looking for a good job, employers looking for the best candidate, and educators seeking to create excellent programs. Human skills are among the most demanded in the world today and, although they are applied differently according to the field, they must be efficient and translated regarding relevance and application. The problem with liberal arts is that although their results are positive, are less predictable than those in STEM fields. Even so, liberal arts graduates are better at identifying and understanding human skills such as creativity, critical thinking, emotional intelligence, and communication. As machines increasingly assume predictable activities of the workday, these skills will be essential to adapt and grow throughout their working lives. Technology will create job opportunities for people who master those human skills that machines can not replicate: social and emotional capacities, the ability to transmit knowledge and experience, the ability to train and develop others, and so on. More than being automated, technology will make the workforce more human. What is the role of liberal arts in the workforce? Liberal arts graduates discover the power of combining technological fluency with human skills as their careers advance. But although they usually work in fields such as social media marketing, content management, journalism, digital marketing, media production, and technical writing, many times they have to guess how their education translates into work opportunities. The study conducted over 250,000 interviews where liberal arts graduates rated the value of their education as low as they feel they are less likely to see if their classes were useful and that they acquired the skills sought by employers. In the case of STEM courses, 59% considered their courses useful, but graduates have less confidence in their human skills than careers such as language and philosophy. However, unfortunately, this type of data is lost when measuring the success of graduates since the data of economic gain do not include liberal arts graduates. In order to improve the reputation of careers in liberal arts, universities must figure out how to translate the humanistic skills students possess into fundamental skills demanded by the workforce. Only 11% of business leaders believe that graduates have the skills they seek. To eliminate the gap between the skills developed by institutions of higher education and those sought by employers, they must use the same language to describe them. Terms such as "communication" or "critical thinking" used by universities are too broad and fail to explain what they mean to employers adequately. Small adjustments here and there are not enough. Universities need new programs that help students identify the skills that companies seek and those they possess. These models will help them to position themselves better in the market and have a better transition to the workforce. To be prepared for new jobs, students need assessments and careers with a 21st-century curriculum focused on problem-solving rather than memorization. The biggest challenge for teachers will be to transfer what students have learned in the classroom to something that they’ll use in different contexts. Very often, students can not make connections between what they know and how to apply it in the real world, which makes hiring difficult. Therefore, it is necessary for universities to apply problem-based models that allow students to connect concepts in a multitude of disciplines. This would also enable educators to stay ahead and develop new courses in emerging skills such as data analysis, the blockchain, web development or digital marketing; skills students will need to be successful at work. Universities and employers fail to recognize the credentials of graduates since they often focus on where they studied instead of how well students learned and how they can apply their knowledge. This evaluation requires better learning assessment tools to help the student translate their skills to employers. Moreover, 57% of employers do not trust their ability to identify and recruit highly qualified candidates. Also, 93% of CEOs recognize that they must change their strategy to attract and retain talent, but 61% have not yet taken the first step. To address future job challenges, taxonomies must be decoded and ways to translate the skills sought by employers and training systems. Finally, the liberal arts provide the skills employers are demanding, but companies are not considering them. Universities need to be the bridge between students and employers. To achieve it, communication between universities and employers should be improved so they can decode the human skills necessary for the future. Preparing students and educational pathways along with the understanding of jobs will build promising avenues for the future of work.